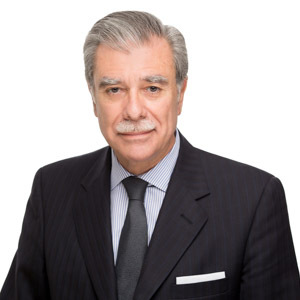 Carlos Gutierrez is Chair of Albright Stonebridge Group (ASG). Secretary Gutierrez served as U.S. Secretary of Commerce from 2005 to 2009 under President George W. Bush, where he worked with foreign government and business leaders to advance economic relationships, enhance trade, and promote U.S. exports. Previously, Secretary Gutierrez spent nearly thirty years with Kellogg Company, a global manufacturer and marketer of well-known food brands. After assignments in Latin America, Canada, Asia, and the United States, he became President and Chief Executive Officer of Kellogg in 1999 − the youngest CEO in the company’s hundred-year history. In April 2000, he was named Chairman of the Board of Kellogg Company. Secretary Gutierrez joined ASG from Citi, where he was Vice Chairman of the Institutional Clients Group and a member of the Senior Strategic Advisory Group. Secretary Gutierrez was born in Havana, Cuba. He is married to Edilia, and has three grown children.